A football atop a twisted pedestal. 9" tall and weighs 1.5lb. 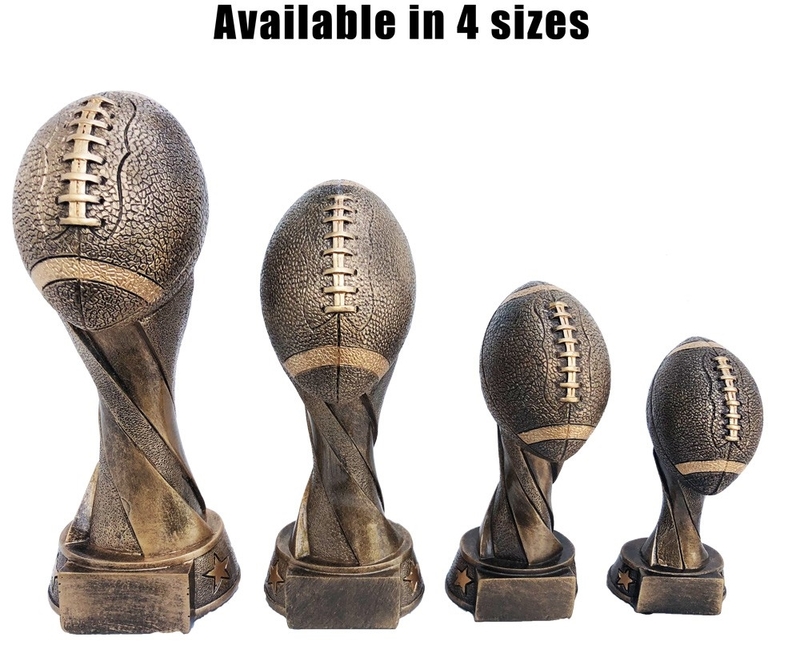 We carry this one in 4 sizes.